MONKEY 47 Admittedly, it appears somewhat eccentric to claim that a recipe for gin has the power to unite great British traditions, the exoticness of India, and the purity and nativeness of the Black Forest. And yet it is precisely this eccentricity that defines the enigmatic character of Montgomery Collins, from whom our Schwarzwald Dry Gin originates. MONKEY 47 - Distilled from 47 predominantly unusual but regional botanicals such as lingon berries and blended with natural spring water. Cheers! 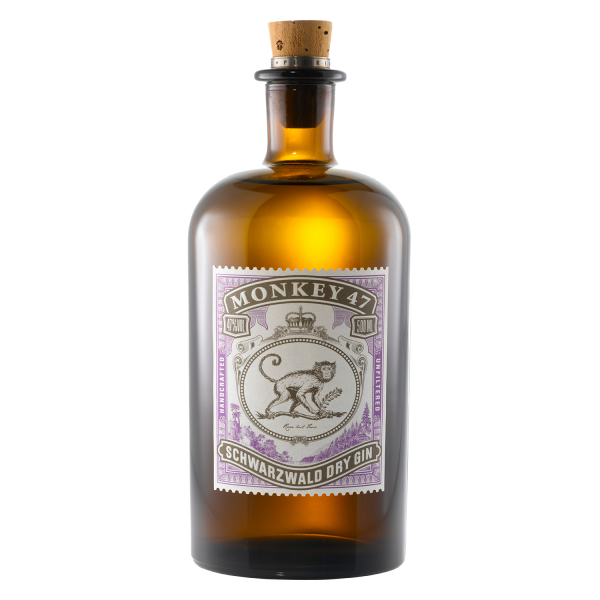 Related links to "Monkey 47 Schwarzwald Dry Gin"
Customer evaluation for "Monkey 47 Schwarzwald Dry Gin"